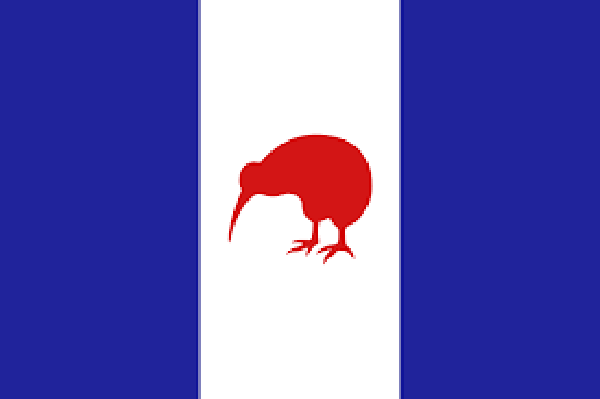 Does New Zealand need a new flag? I believe so, yes. That sort of goes without saying – our present flag is an anachronistic, tired, too same-same as Australia, rag of cloth that bears little relationship to our modern nation. 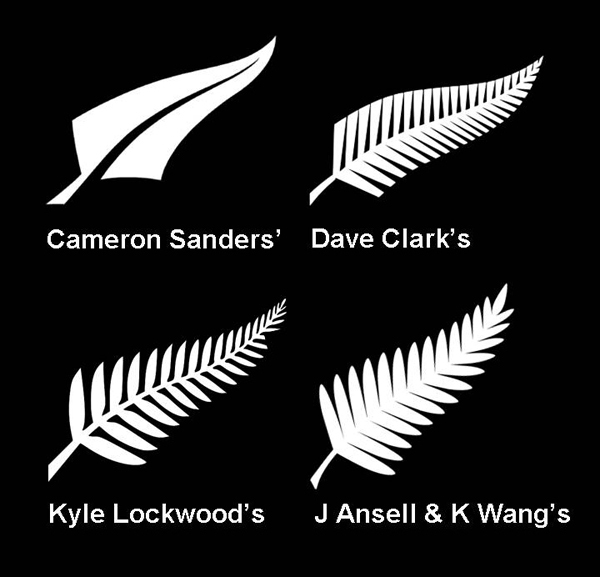 The fact that athletes so happily compete under the sign of the silver fern, than under the NZ ensign states heaps about how they see themselves, and how we see ourselves. The real question though, is not what to replace it with, but when, and why. John Key has got it wrong. Not surprising, as he is a corporate money man, but a flag change is not a branding exercise. A flag symbolizes a nation, and countries do not change flags at the drop of a hat. Fonterra may rebrand, and change its corporate logo when it wants, without ran our, but despite appearances, we are not Fonterra. Shell got sold in New Zealand, and was rebranded as Z. But we are not just Z, we are NZ. What other countries have changed their flag, and when? South Africa is a big country with a multi-ethnic make up, that changed its flag not too long ago. 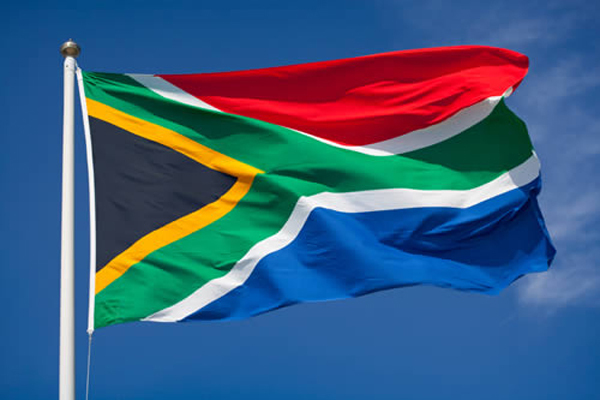 Formerly a fussy, retro facing flag of outdated symbols, they realized that they were the Rainbow Nation, and designed a flag to match – simple, yet complex, with bold colours referring to their past and their future. But when did they do it? And why? Just because they felt like a change? Or because they actually DID change? 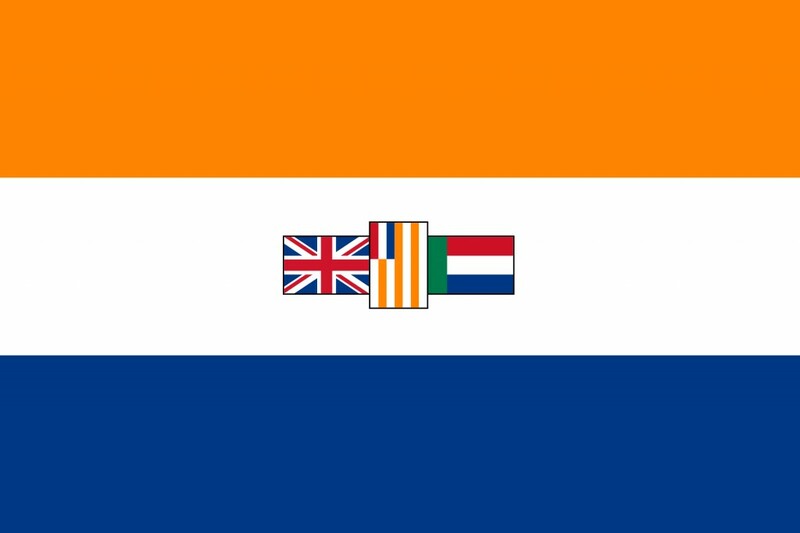 South Africa changed its flag when they got rid of Apartheid, when they adopted a new constitution, when they truly changed and became a new nation. South Africa deserved its new flag. What about Canada, another ex-dominion of the British crown? 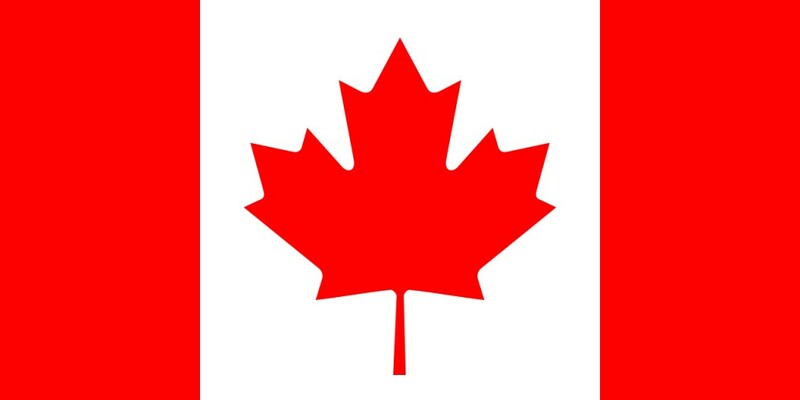 Their flag, the well-known Maple Leaf, has not been around for that long – only a few decades. 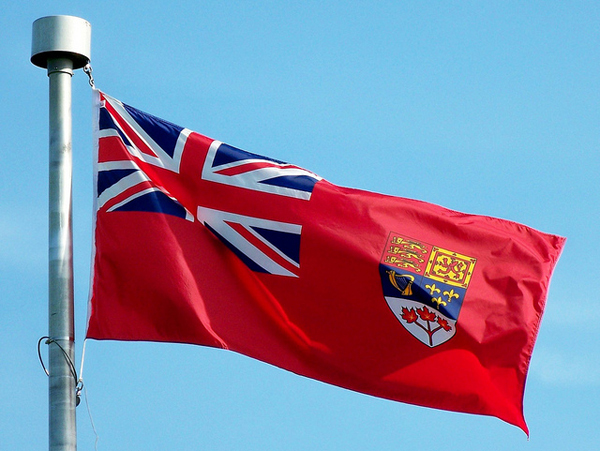 Before that, the Canadian flag was red, and symbolic, and cluttered, and outdated. Canada adopted a new, bold maple leaf flag that was hugely unpopular at the time, but has grown to be one of the most recognizable, and proudly worn symbols in the world. New Zealand needs to deserve its flag change. Just changing it on its own, won’t achieve much. 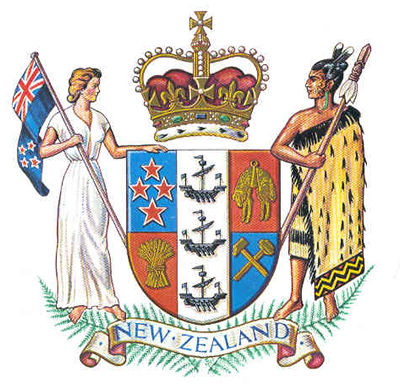 New Zealand needs to do several things – we need to drop the slavish allegiance to a far off monarch we never see, and become our own country in deed as well as name. We need our own name – Aotearoa – instead of the cringeworthy slave name we inherited, bearing no relation to anything to the Old Zeeland in the Netherlands. I’ve been there. It’s flat. It’s cold. It’s not green. It has no flightless birds. Zeeland is not New Zealand. We are Aotearoa and we should be proud. 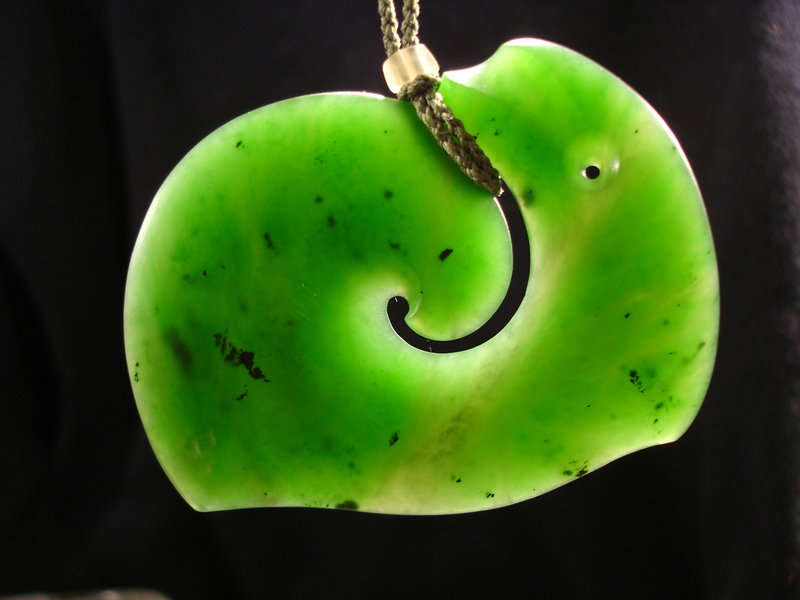 Our islands are not the unimaginative North and South islands, but are Te Ika o Maui, and Te Wai Pounamu. We need to ratify the treaty, and find a new way of dealing with issues of race. There is no them and us. There is only US. There is no Asian ‘problem’ or no ‘Maori’ problem. There is only OUR problems. Aotearoa needs to stand up, grow up, and become itself. We’ve gone through our teenage years. We are now an adult country. We need our own constitution, our own leader, our own ways of living and doing. And when that day comes, we deserve our own flag. For then it will signify something, it will mean something, it will not just be an exercise of branding, but it will truly be a flag that has relevance to us as our own nation state. Yes. I agree completely with your post. I’m not sure I’ve ever heard anyone suggest a name change to Aotearoa though. Food for thought but I think I’d vote for it, given the chance. I’d also add in a reversal of the honours reversal. Knights and Dames need a South Pacific/Aoteroa makeover. Do we really need titles? BTW, welcome to regular posting under the pseudonym. It’s been a good start. 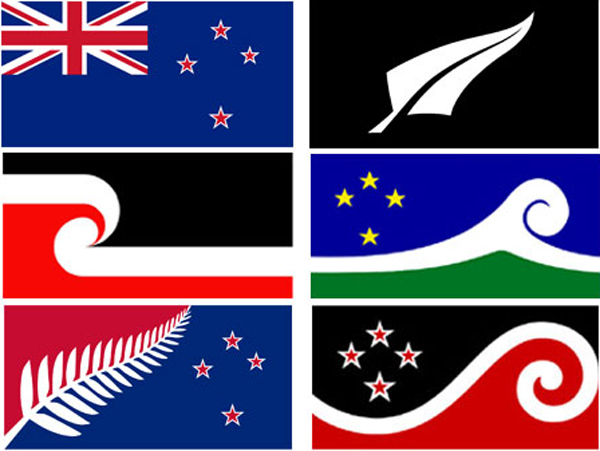 I don’t like the silver fern (personally), and don’t buy the argument that because it is associated with our military and our war graves it needs to be our national flag. Just look at the military insignia for Britain or the US – it is different from their national flag (I’m thinking of the tanks). Also, a quick google search of US and British war graves shows that it is not usual for national flags to be on grave markers. I believe it is fine for a mature nation to have a range of national symbols, and don’t see the need to conflate it all into a single motif. I do think our white-bordered red stars are actually both unique, and a pretty cool graphic element – as far as I know, ours is the only starred flag with stars like this, and I’d be really sorry to lose them, and the Southern Cross reference. The Union Jack – meh. Personally, id vote to keep the existing flag. Its got probably 200 years tradition behind it now and so what if it represents our british heritage. Thank you Josh – I thought I was making a hash of it, so I’m glad to hear that someone thinks I’m not complete crap. It’s hard going! Don’t know how Max kept it up for 8 years. Might be my imagination, but as far as I know, Aotearoa is already accepted as an official alternative name for our country. You’re overseas, right? It’s getting quite common here, normally in a combo, ie Aotearoa New Zealand. Totally agree about the reversal of the Knits and Dames reversal. Has anyone who has been knighted in recent years actually wanted to be called Sir? Sir Ian Athfield? No, just Ath. Sir Peter Veitch? No, just the Mad Butcher. Sir Edward Hillary? No, just Ed. This is us we are talking about. Pompous naming rules don’t really work with us. M-d – the stars, apparently, had the red added by Maori. They didn’t like the white ones proposed, but we’re much happier when red was added to the middle. Can’t remember where I heard that from, but apparently it’s true? Tip o’ the hat from me too Levi. Max left some big flippers to fill, but it’s good to see you take it on. The United Tribes flag is quite nice, yes, but: Did you know that it’s genesis is the Shaw Saville line’s flag? They were the / one of the key shipping lines to bring the settlers out to NZ. Happy to be proved wrong, but pretty sure that is the story. PS – oh, and thank you too Starkive. Appreciated. Oops, I’m wrong. Sort of. I think you are right Mr Starkive, as it seems that Shaw Saville liked the flag design so much, that they adopted it as their own house flag. I think the Canadian and South African flags are great, if we could get something of that calibre I’d be happily surprised. I’d agree that the silver fern should not be on the flag but if it gets shoved through it wouldn’t be the end of the day. I’m not sure about that Gordon Walters one that Barry posted either. Black and white is the All Blacks, do we really want to brand the country? The actual motif is nice but I’d have to see some variations. The green in the South African, Brazilian, and Jamaican flags always stands out to me. It would be nice to move away (a bit at least) from black, white, red and blue. You’re welcome Leviathan. I reckon I wouldn’t have noticed the blogger had changed if you hadn’t told us (and the different pseudonym of course).